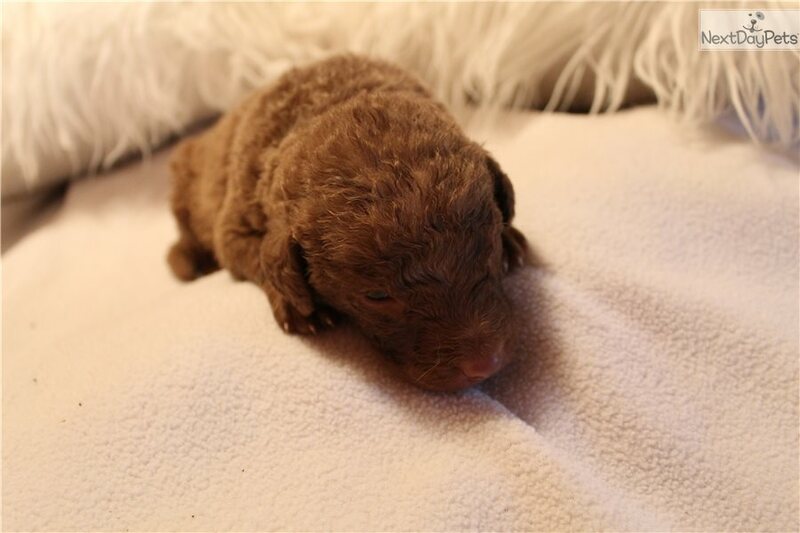 This Chesapeake Bay Retriever nicknamed Rosie sold and went to a new family. 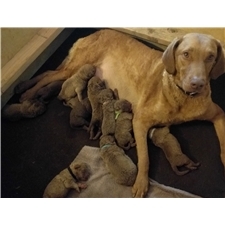 Chesapeake Bay Retriever Puppy with AKC papers. Champion Bloodlines and Master Hunt Title Bloodlines. Parents have health clearances. Ready to go to new homes on December 31st. They range in color from dark brown to light brown. Great family dogs as well as retrievers for hunting. Dew claws removed. Come with first set of shots and health exam. Raised in our home with lots of attention and loving care. Cerf & PRA Clear. DM Carrier. Hips Fair. Elbows Normal. Cerf, EIC, PRA & DM Clear. Hips Good. Elbows Normal.